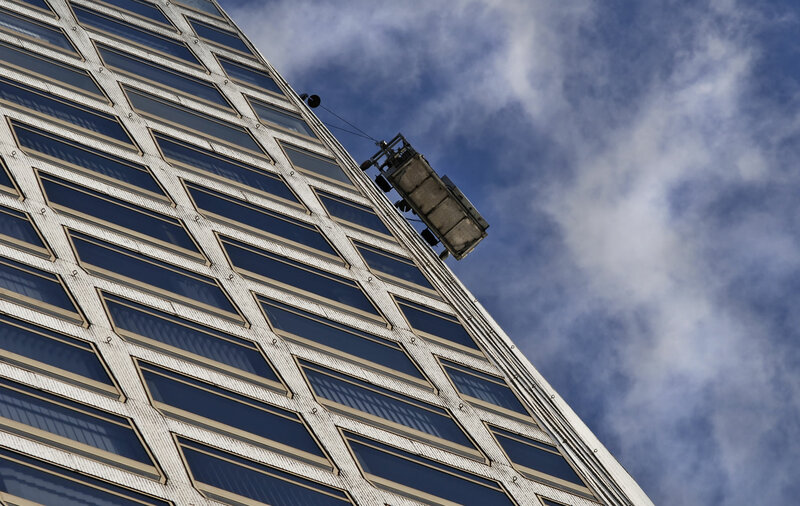 We provide a national commercial window cleaning service with highly -trained teams of specialist operatives skilled in high and restricted access buildings and locations offering complete peace of mind to all of our clients. 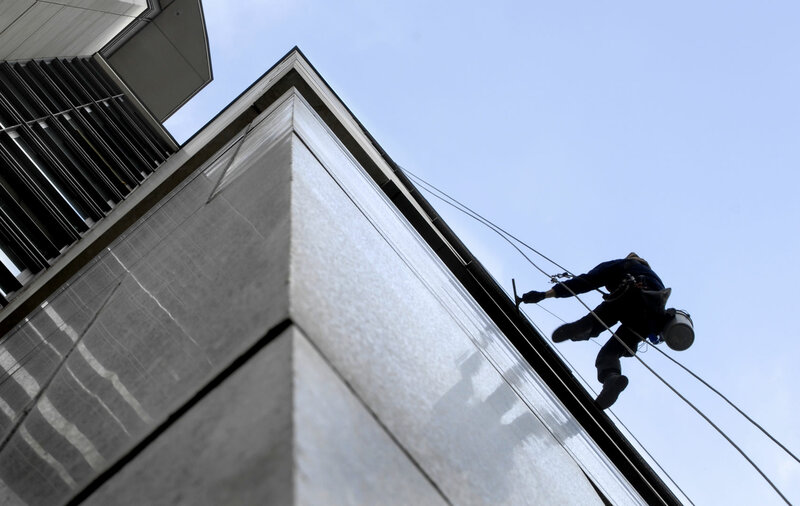 In addition to our commercial window cleaning services we offer a range of cleaning services such as cladding and gutter cleaning to ensure our clients’ premises are maintained to the highest standards. 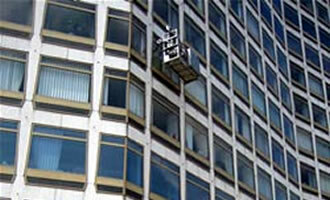 In our line of work, health and safety is of the highest concern. 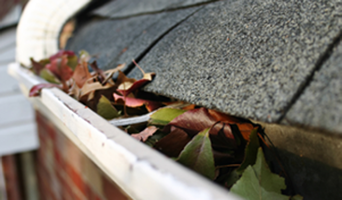 All our staff are highly trained and we are accredited by Safecontractor, Chas and Contractor Plus and also employ external Health and Safety advisors. 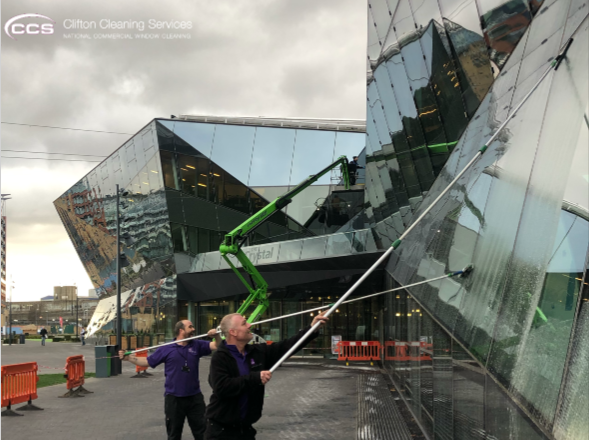 Clifton Cleaning Services Ltd are a national provider of commercial window cleaning & high level services to an ever growing client base across the UK. 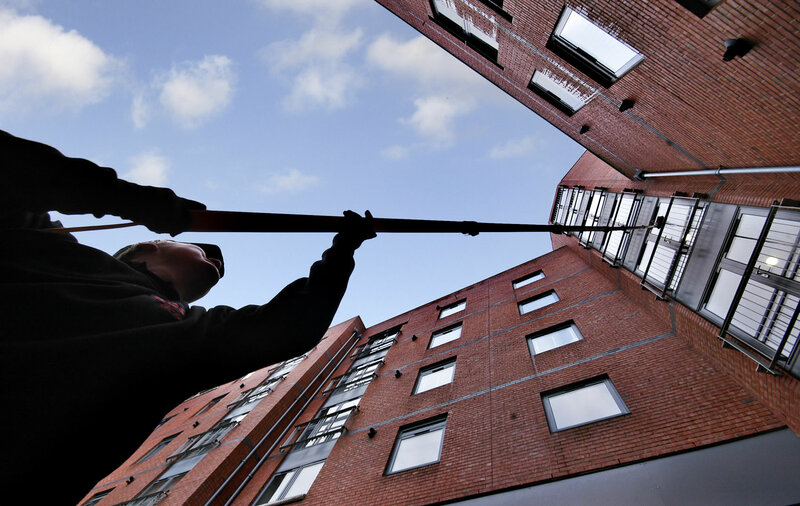 Based in the Midlands, we are ideally placed to strategically manage and deliver your window cleaning services however demanding they may be. 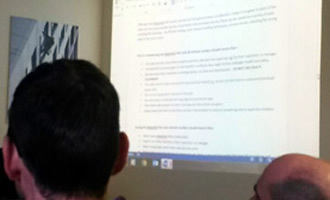 "We appreciate that just getting the job done isn't our only goal. 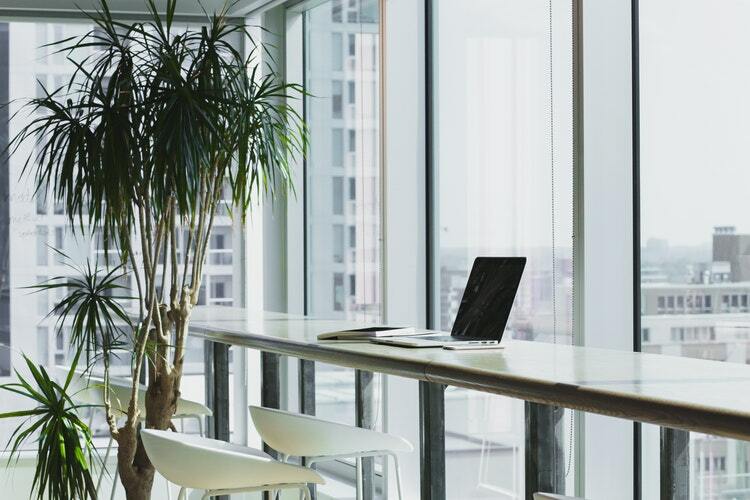 Instead we aim to complete all tasks not only to a very high standard, but also importantly in the most professional way possible so as to impact less on the day-to-day running of our clients' business." 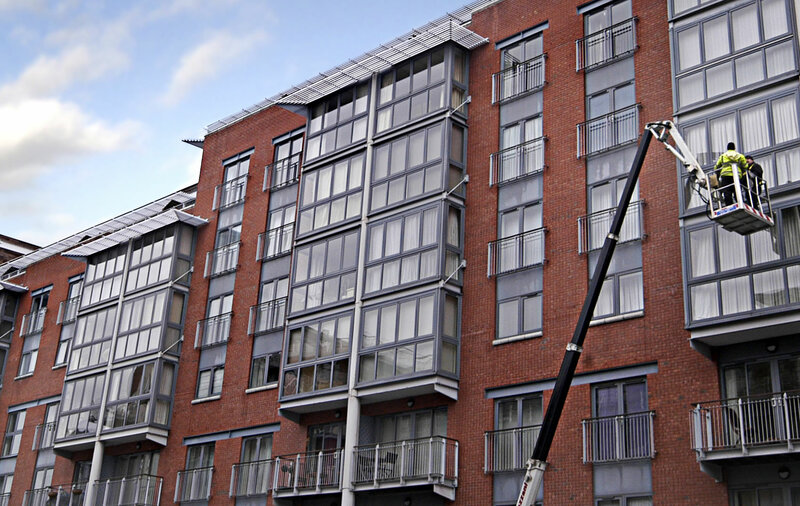 One of the most attractive attributes a window cleaning company can possess is experience. 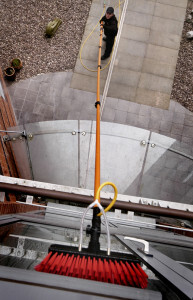 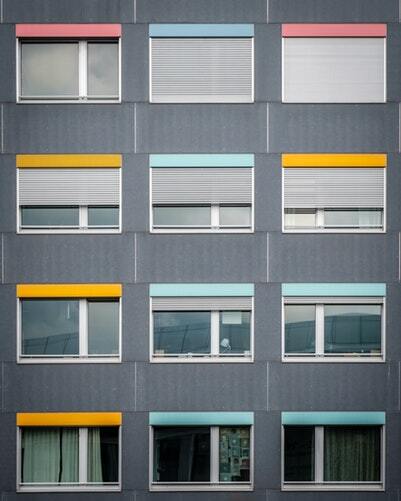 There is no doubt that having an #experienced team #cleaning your windows is more reassuring, especially if they are cleaning at a height or at dangerous angles.